Facebook’s Rooms app still isn’t available on Android, but today the company is pushing out a pretty big update for iOS. 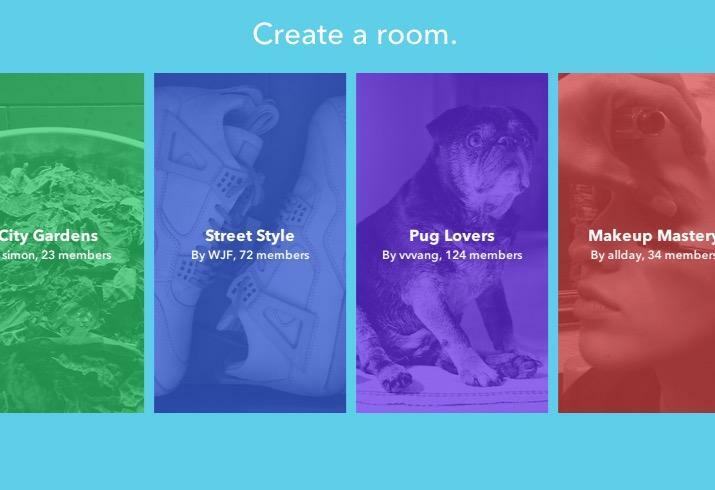 Version 1.1.0 of Rooms adds more ways to customize your chat rooms and a new activity tracker. Two of Room’s new features are designed to give you more control over the rooms you’ve created. First, you can now customize the sound people hear when they “like” a post, with more than 50 different options to choose from. Second, there’s a new activity dashboard that lets you see how much time people are spending in your room along with how many posts, comments and likes occurred during the past week. Facebook also added even more push notifications. The app already lets you know when someone posts in your room, joins your room or responds to one of your posts. Now it also pings you when there’s a new post in any chat room you’re subscribed to, though you can turn that off in settings if it gets overwhelming. I booted up Rooms to try the update for myself, and while all the new features worked pretty well I couldn’t help but notice that the app itself has quickly become a ghost town. It may take more than a few improvements to bring people back to Rooms, though maybe an Android launch could give the app a much-needed boost.